The Academic Staff Union of Universitis (ASUU) has given conditions upon which the current industrial action will be suspended. The president of the union, Abiodun Ogunyemi, stated the conditions in an interview on Sunday night. Mr Ogunyemi said it was unfortunate that Nigerian leaders “like to move in circles without resolving the challenges rocking the system”. “Some of these conditions, ASUU said, include the full implementation of the Memorandum of Action (MoA) the two parties willingly signed in October 2017,” he said. “So the MoA must be implemented fully before we can even talk of suspension of the strike. If they implement the outstanding issues in the MoA fully and change the leadership of the negotiating team, then we can go back to the negotiation,” Mr Ogunyemi said. 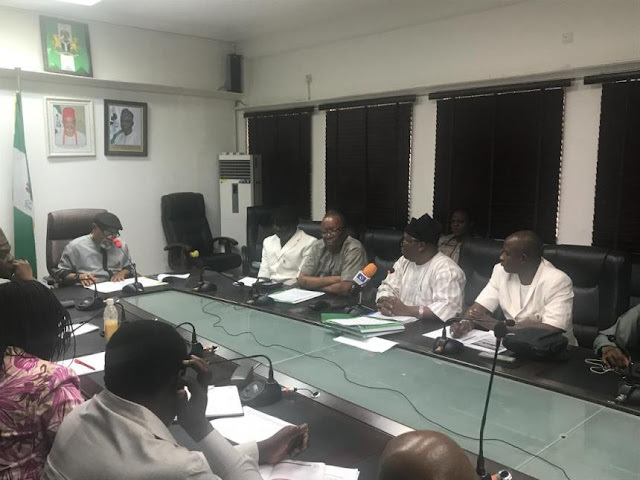 After last week’s meeting by ASUU and the federal government which yielded no satisfactory results, the two parties will on Monday (today) meet at the Federal Ministry of Education in Abuja. The purpose of the meeting slated for 5 p.m. is to find a lasting solution to the ongoing strike. The union embarked on strike three weeks ago over the poor funding of Nigerian universities, an alleged plan by the federal government to increase students’ fees and introduce an education bank, as well as non-implementation of previous agreements. According to Mr Ogunyemi, the union’s position is aimed at repositioning the nation’s universities for global relevance. “As they (schools) currently stand, they can neither attract competent foreign lecturers or foreign students who could add to their global rating. “Our prayer is that the meeting should be productive, because contrary to the people’s belief, we don’t also enjoy embarking on strike. It affects us as individuals as it affects the nation. “Unfortunately, that is the language the government understands. Each time ASUU goes on strike our work is disrupted. But what work are we doing under unfavourable conditions?” Mr Ogunyemi said. Meanwhile Members of the Nigerian Labour Congress (NLC) and the National Association of Nigerian Students (NANS), on November 19 embarked on a protest to demand increased funding for education. The protest was titled “Save education rally”. The president of National Association of Nigerian Students (NANS), Danielson Akpan, said the the dwindling allocation of funding to the sector is saddening. “The funding keeps dropping every year,” Mr Akpan said. The head of International Relations department at the NLC, Uche Ekwe, also said much attention is not given to the education sector. According to him, the major reason for the ongoing ASUU strike is poor funding of the sector.